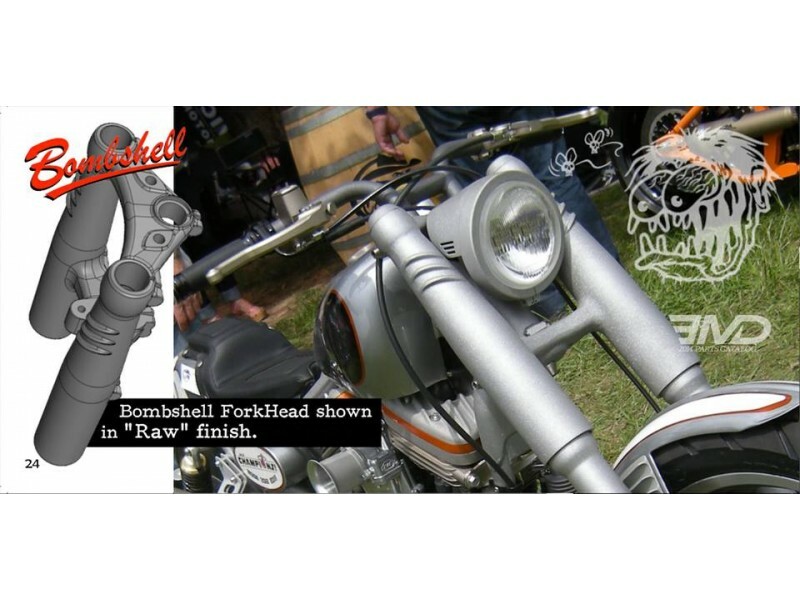 - The BOMBSHELL Fork Head "Long" includes the triple tree and the fork boots in a single piece: an innovative EMD concept. 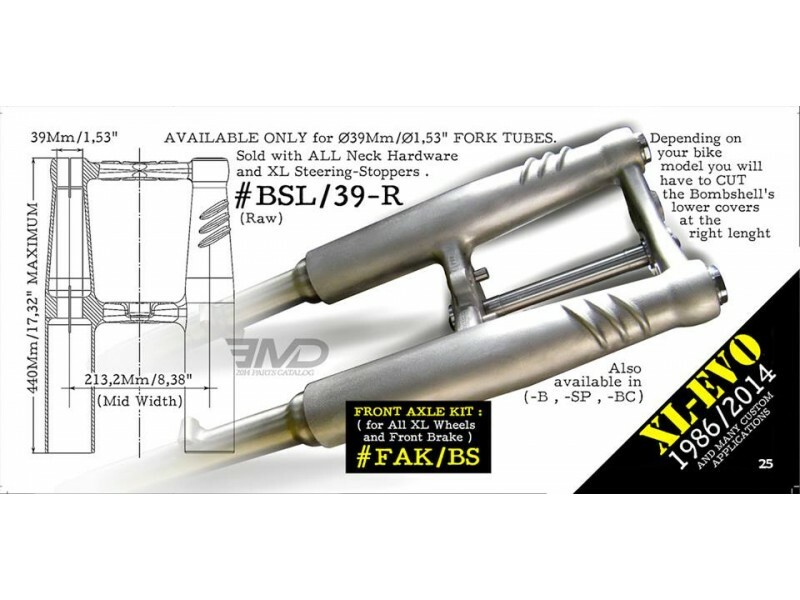 - The BOMBSHELL Fork Head "Long" is delivered in maximum length of 17 5/16”. 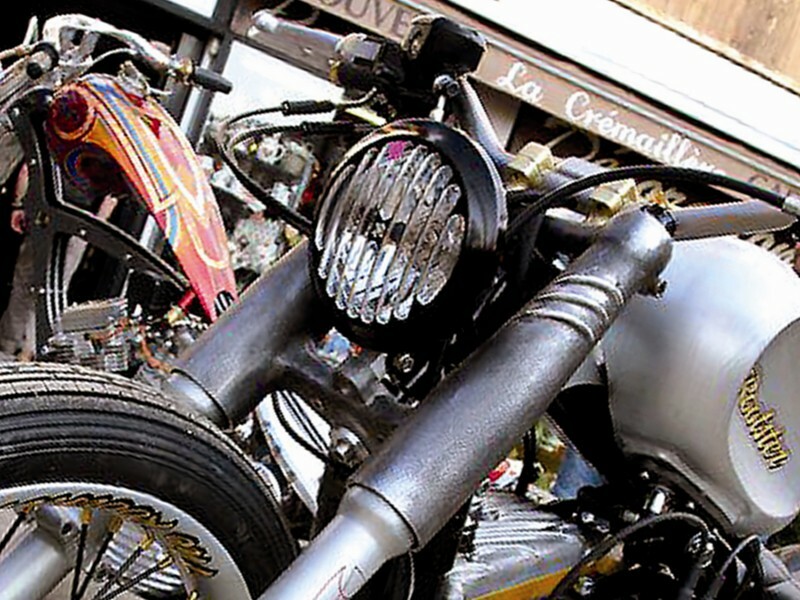 - Depending on the type and model of your bike we advice you to check the exact length before cutting the lower covers at the right length. 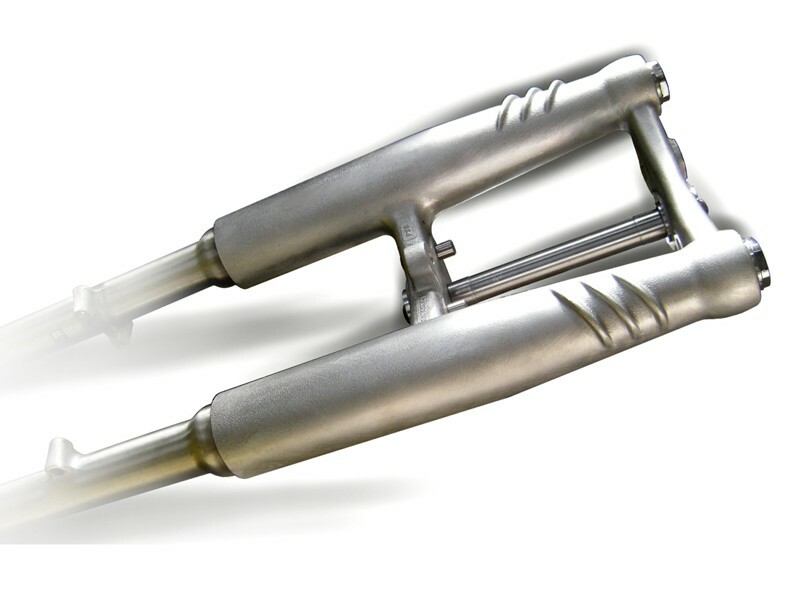 - Our EMD / BOMBSHELL "Long" Fork-Head for Sportsters XL ( or Dyna) will install in place of your original fork-tree and radically change the look of the front of your bike.